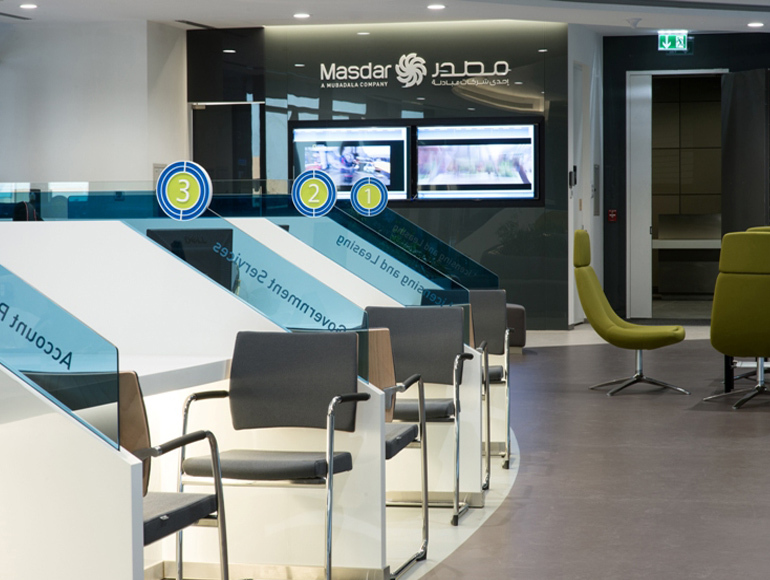 Masdar City’s One Stop Shop handles all aspects of company registration, licensing and leasing, as well as government services, such as visas, customs clearance and driving licenses. 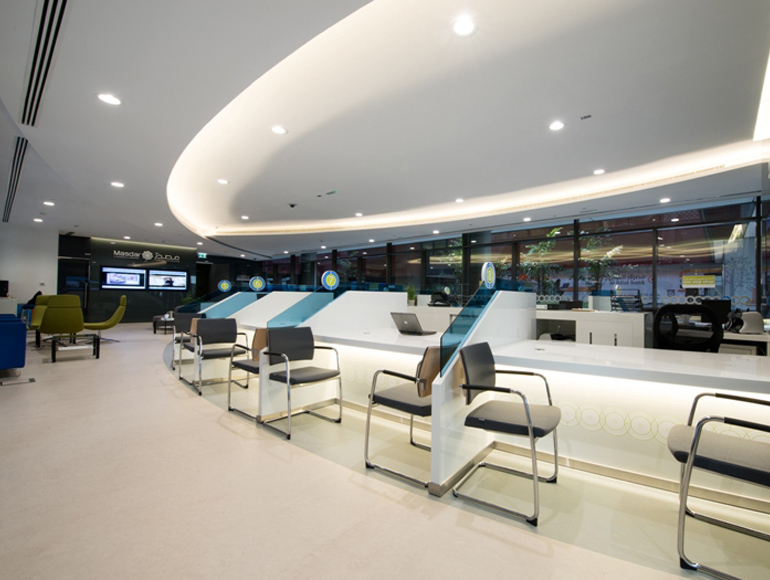 It also offers a range of business and office support services for Masdar City tenants. 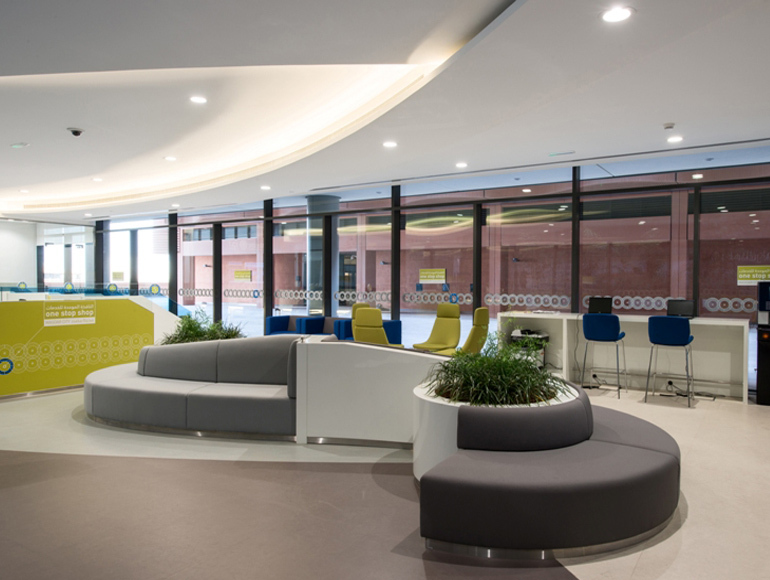 As leaders in the field of sustainability, Masdar wanted to collaborate with partners that share the same vision and values for their office fit out project. 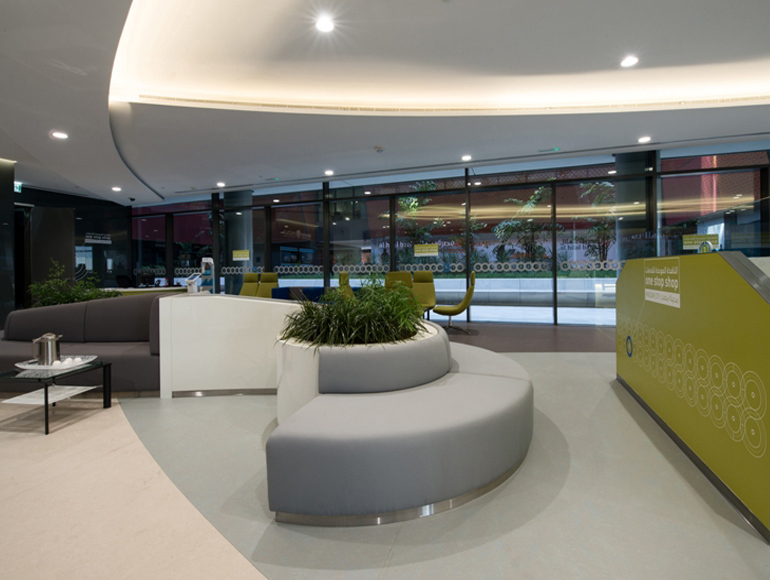 Summertown were appointed to manage the design process for the project working in conjunction with the Masdar team, and execute the fit out ensuring that Masdar’s own sustainability guidelines were met throughout the process. 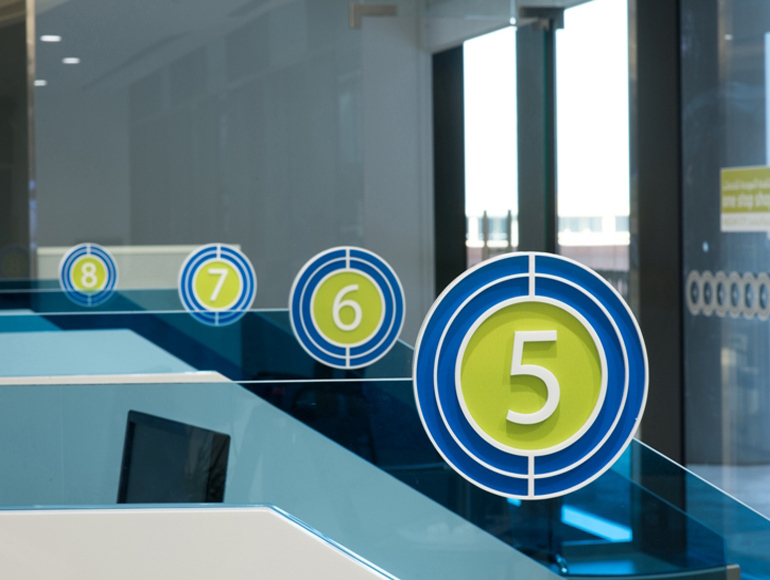 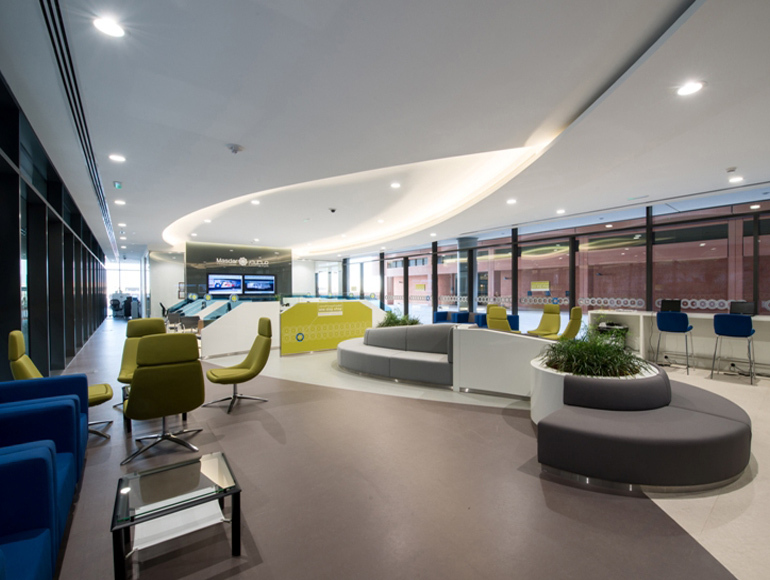 Summertown successfully executed the fit out project within the required timeframe and budget. 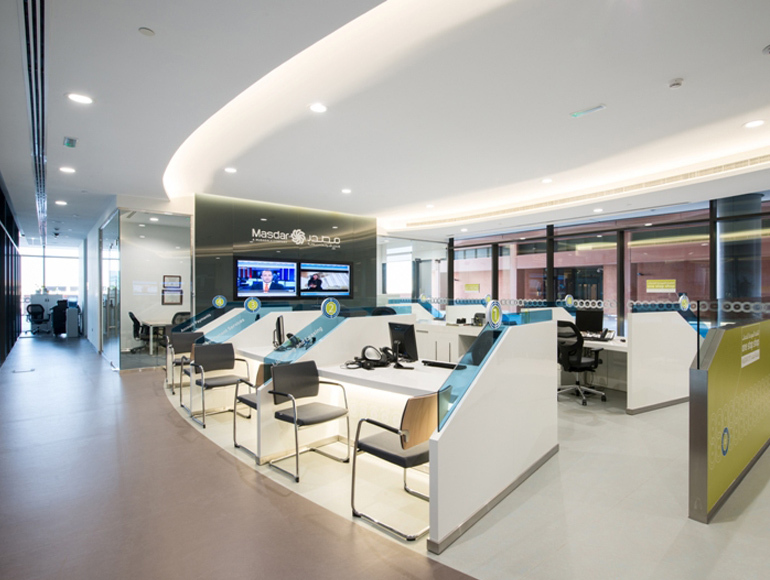 As a result, Summertown are now one of Masdar’s preferred partners for office fit out projects.